Watch the YouTube video below and learn how to successfully Search Santaquin Utah Real Estate and save your favorite Santaquin homes. You will also learn how to be the first to get the new Santaquin listings as they come for sale. Our system will match your search criteria with the new listings. This is the best way to find a home for sale. In fact, our system has helped hundreds of buyers find a home. It is so important to be the first person to see the new listings. 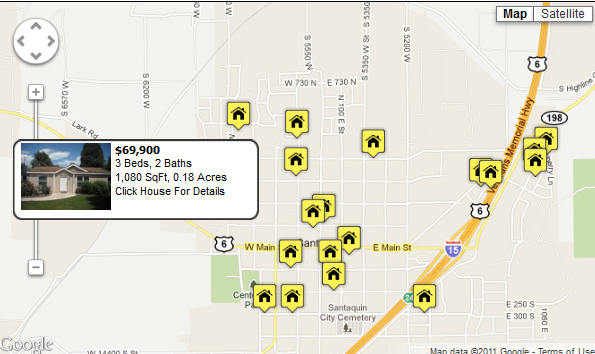 Instantly see all available homes for sale in the Santaquin Utah area – and get immediate access to the most complete real estate data, including multiple photos, interactive maps, neighborhood statistics, nearby schools and so much more (we'd be here all day if we listed out every awesome thing). Work with a Santaquin Utah Realtor who specializes in the areas you're searching. There are new and old homes alike in Santaquin UT. Many of the major neighborhoods and developments have names like Dream View, South Valley View, Nelson Landing, Ranch Meadows, Santaquin Heights, Badger Hollow, Meadows at Mt. Loafer, Sheen, Santaquin Park, Cherry Ridge and Harvest Ridge. If you need help finding a home in Santaquin UT contact Paul Teasdale. Search Santaquin Utah Real Estate with a local Utah County Realtor.